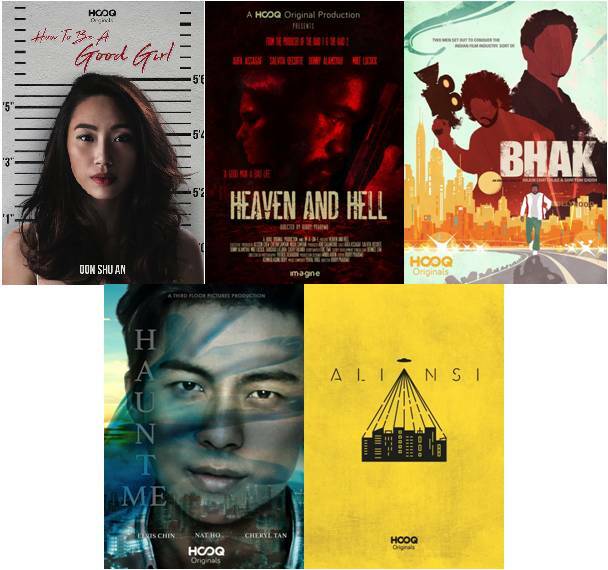 HOOQ – the largest Video on Demand (VOD) service in South-East Asia – recently premiered 5 original selected screenplays as pilot episodes on the platform. The best of these 5 pilots will be commissioned into a full series on the platform as part of the inaugural HOOQ Filmmakers Guild. Launched in June 2017, the HOOQ Filmmakers Guild is an annual initiative designed to seek out film talents in Asia that have great ideas but lack the opportunity to bring them to lifeon screen.Each of the above 6 screenplays received USD 30,000 to produce the pilot episode. “Coming in, I had high expectations for this initiative knowing that there is a vast landscape of untapped talent across Asia. True enough, my expectations were met by the sheer amount of fresh and unique talent that stepped up to the plate. And now, I can’t wait for these chosen filmmakers to finally be able showcase their work. Regardless of who wins, I have no doubt that these pilots will not disappoint”.